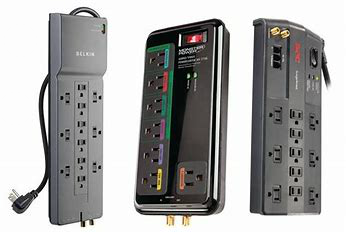 Surge Protectors : Are You Protected? Can you Count On it? The protection provided by a surge protector on your system and its devices is essential, as surge events are unpredictable and can damage or even destroy electrical equipment essential to your system’s operation. However, there are several common problems that may occur during the installation of a surge protection device (SPD) that will prevent it from giving you the protection you need. There are ways to ensure that you are getting the proper surge protection from your SPD, after you have installed it on your system. Today’s buildings are more than just structures. They contain complex systems and technology. The rise of smart devices is changing the way we inhabit buildings, and consequently, how we think about securing these buildings.These cutting-edge solutions are the building blocks that enable buildings to be smarter, safer and more efficient. 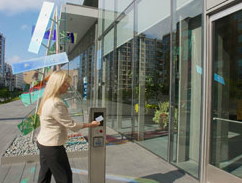 How can we help you detect an armed criminal entering your building ? 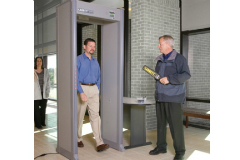 While the security, access control, and surveillance systems we provide can, in some cases, detect real-time criminal activity, it is still a simple matter to conceal a weapon and walk into retail and commercial businesses with mal-intent.